Craig Kahn is the Broker/Owner of All Seasons Realty Group, Inc. He has been a Realtor for twelve years working under two other Real Estate companies. Since the day Craig became a Realtor his goal was to someday open his own company and in July 2013, he established All Seasons Realty Group Inc.
Craig is a member of the National Association of Realtors, Berkshire County Realtor Association, and serves on the Board of Directors for Habitat for Humanity. He previously served on the MLS Board of Directors, and as Director on the Berkshire County Board of REALTORS Board of Directors. 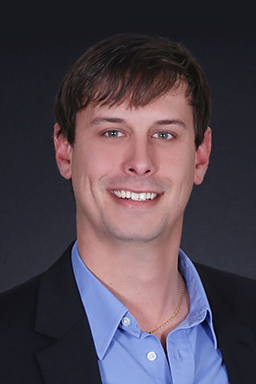 Craig works in a team aspect with All Seasons Realty Group’s agents, and they can be referred to as "The Kahn Team." This allows hard working full-time agents working in the client's best interest, at all times. They are efficiently able to provide the most up to date market information, along with the devoted time, energy and attention every client deserves throughout this important process. You exceeded our expectations - we weren’t sure what to expect when we first decided to use a realtor. As we looked at house after house we never felt rushed or as though we were wasting your time. Since this was our first house and we had heard how stressful buying a house was, we prepared ourselves for the worst, but it was a really fun and enjoyable experience working with you. We never once felt pressured, you answered any questions or concerns that we had and did all of the leg work for us! We both sat back multiple times and wondered what everyone else was talking about when they said buying a house was stressful - we never once felt that way! Extremely easy to communicate & work with. Whether it was via e-mail, phone or text - anytime we had a question we felt as though we could ask at any point and we always got a very quick response. Every house we looked at was worked around our availability - we were pretty booked with work and travel, and never once did it seem like a burden to schedule appointments. We had a unique situation with buying a house. We switched up our plan half way through the home buying process and decided to buy the house that we were already renting, and it was such a smooth process! We would most definitely recommend you to family and friends- we have already mentioned what a great experience we have had to a few co-workers :) I think that you well exceeded our expectations, and thought of every little detail to make this a memorable experience for us, even down to the very thoughtful gift you brought us at our closing to celebrate! 1. Did we meet your expectations and provide you the service you were expecting? 2. Were we easy to contact, communicate, and work with? 3. Did we set up appointments and showings efficiently and work with your schedule and time frame? 4. Did we help you meet your goals of buying or selling? 5. Would you recommend us to your friends or family looking for a realtor? 6. What do you recommend we do differently in order to help have made this a better experience? Any ideas or suggestions you'd wish we had done, so we can keep in mind for future clients? 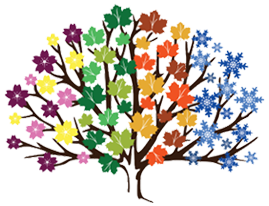 All Seasons Realty Group has exceeded our expectations in many ways. They maintained their promises and professionalism from the beginning to the end. Communications was constant, and return calls were made back almost immediately. No question seemed too trivial, and communication was respectful and informative. Our suggestions were met with respect and equal consideration. Our house was empty and accessible at will. The before and after showings were always communicated to us, including feedback. Our goals by All Seasons Realty were definitely met and they helped to make the entire transaction smooth and seamless. If I had any more homes in the Berkshires, I would most definitely have them handle and represent us again, without any hesitation. We have had other well established real estate agents/brokers in the past in Lanesboro, MA. None of them have been as respectful of our wishes and needs, understanding, and hard working to get the job done. No suggestions for improvement. I think you are doing an awesome job already. Just keep up the excellent work. "You Absolutely met our expectations! This was our first time even thinking about purchasing a house, so we really went into this blind, but you both were so amazing every step of the way. We had a couple realtors before we set up with you both, and we couldn't believe how prompt and on top of things you two were. I never felt out of touch during the house buying process, you were great to work with every step of the way! Considering our schedules, Brad and I always needed your help on weekends and late evenings and you always set that up no problem, it was great that you worked after hours with us. You helped us meet our goals, we found our dream home within our budget, so I would say you nailed it!! We have already been recommending you to friends & family. Seriously though, thank you both for everything you did. We appreciate it a lot." "Craig and Laiken -- you both are amazing. Laiken thank you so much for your countless phone calls, emails and text always staying on top of everything. Tony & I (and our little family) thank you so much for all you have done. I can't wait to start making memories in a place I will call my home for a VERY long time. You two are the best! "Recently I purchased a new home with the help of Craig and Laiken, who are by far the easiest and most efficient pair of realtors to work with. They were very patient with me while showing me multiple homes and arranging all of my showings in a very timely manner. Their constant and effective communication helped to make the process the most stress free experience I could have hoped for. I would highly recommend either or both of them for anyone looking to purchase or sell a home. And did I mention they are the nicest people I have ever met☺. You are in amazing hands when you choose this great business to work with for all of your home buying needs. "Craig and Laiken, I can not thank you enough for the time and dedication you gave me when buying my house! I know that I had a lot of questions and concerns with this process and you guys were always there with a smile and answer to all my questions! Every time I wanted to go back and measure or check something out with the house you always got me in to check it out! I don't think there is any better realty group out there who can compare to ALL SEASONS REALTY!! I have a stack of your business cards at work, and I pass them out to anyone looking or even thinking of buying a house! Thanks Craig and Laiken for provide outstanding customer service ! You guys are the best!!" "Thank you guys so much! We appreciate all your help during this process and you guys are awesome at what you do. You certainly will get a great referral from us to anyone we know looking to get a house. You guys get 5 stars from us. Thanks again!" "I went to Craig and Laiken a few months ago with a crazy idea I might want to buy another house, no timeline just what I was looking for "down the road" if it came along. Not only did they go above and beyond for me, he sought out my dream home for me and my daughter! Oh and did I mention that 3 months after I introduced my sister to them they have her moving into her own home! It's amazing the amount of care those two put into what they do, I couldn't stress enough when I say if you're looking to buy or sell a house do yourself a favor and call these two. You certainly won't be disappointed you did! Thank you guys from the bottom of my heart!!!" "After using Craig & Laiken of All Seasons Realty Group to sell our existing home and purchase a new one, we could not have been more satisfied with our experience. They went above and beyond our expectations and took care of everything that needed to be done along the way with both properties. We went through this process while starting a new career and having a child born and without Craig & Laiken we honestly do not think it would have been possible to accomplish. They made the whole process enjoyable and stress free for us. I can't say enough about the work, hours and care they put into us and our process. I would highly recommend them to anyone who is looking for a real estate agent. I would not want to use any other agents if I was to get back into the market in the future." "We worked with Craig & Laiken-The Kahn Team for selling our home, and buying our new home. Working with Laiken, our buyer agent, was always easy. We never felt like we were bothering her, she always got back to us immediately! Anytime, morning or night, she was always there to help us. Laiken is very knowledgeable and always had the right answer for us. Laiken took us around to several houses and never made us feel pressured and always told us you will find the right one. She was always honest about houses and never wanted us to buy a house, just to "buy one." She genuinely wanted to see us in the perfect home that suited us. Craig and Laiken work as a team and they work really well together. They are both funny, down to earth and always made us feel comfortable. If Laiken couldn't show a house due to schedule conflicts, Craig was available. We really wanted to buy in the south east side of Pittsfield. Craig showed us a home in the neighborhood we wanted to be in. It was actually our 5th house we had looked at in this particular neighborhood. We really thought we liked this house and wanted to put a offer in. Craig said before we do that, I want you to come back to the office. (Their office is beautiful, up to date, clean and comfortable) Here, he was able to review comps for this house and explain the home and the market in more detail. Craig explained we weren't getting much more space compared to our current home and basically we were going to be overpaying by A LOT ($75,000 and up) on this raised ranch due to the neighborhood it was in. We thought we wanted to live in this neighborhood but after understanding the market and the facts he was presenting us with, we knew there was a better option. We took into consideration what he said and we are so glad he had this conversation with us, because he was right. We are appreciative of his knowledge and taking the time to sit us down and explain. He didn't want to see us overpay for something. We really appreciate Craig's honesty and knowledge on real estate. When choosing a real estate agent we wanted someone who is young, motivated and doing it full time. Craig and Laiken are the perfect pair! We are now in the absolute perfect home for us, and we couldn't be happier!" Craig is a great realtor. He was great in helping my wife and I with our first purchase. As first time home buyers he explained every step of the way in very easy to understand terms. He was also our realtor when we sold that first house a few years later. Glad to see he has his own business now. Highly recommended! Craig was very efficient and professional with his approach in selling this property beginning with the market analysis, positioning the property in the appropriate segment and finally being instrumental in negotiations leading to the closing of this property. He did what was asked of him and gave suggestions when needed. We would certainly use him again. My wife and I heard horror stories from our friends about buying a home, so we were nervous about going into the process, but we are so happy with our experience! We are so glad we worked with Craig and Laiken! From the very beginning, they made the process run as smoothly as possible. They were helpful and informative, easy to get in touch with, and super fun to work with. They encouraged all questions we had about the house or the loan process and if they didn’t know the answer, they would find out for us. They were never pushy and always accommodating of both our schedules. The house we ended up purchasing came on the market on a Thursday morning, and we were leaving town for the weekend early Friday morning. I told Laiken I was very interested, she was able to schedule a showing an hour later, and she and Craig helped us put in an offer that night. From that day until our closing, we hardly had to lift a finger. They handled all scheduling, communication, and negotiations for us. There were a lot of things that could have gone wrong, but we never had to worry. Our family is so happy in our new home. Working with Craig and Laiken was the best and easiest decision I made during the home buying adventure! Thank you Craig and All Seasons group for all your hard work and making sure the home buying process was effortless! We love you. 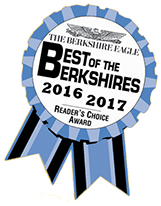 Recently I had the pleasure of being a client of Craig Kahn who I was linked with by Berkshire Health System in order introduce me to the Berkshire community and show me potential real estate. From the moment I met Craig he was friendly, professional and knowledgeable. His deep roots in the Berkshires and Pittsfield allowed for a fantastic tour of the community. Despite not being fully committed to a home purchase Craig drove me around to various towns and showed me some great homes. A move from NYC to the Berkshires is a big change and Craig gave me a great introduction to the community that was very much appreciate by me and my wife. Buying a house can be so stressful! We had an amazing transition process. Craig helped my fiancé and I with the purchase of our first home. He made the experience so easy and explained all steps of the process in terms that we would understand. He was very professional, polite and dedicated. We are SO happy in our dream home. Can't thank Craig enough for all his hard work! 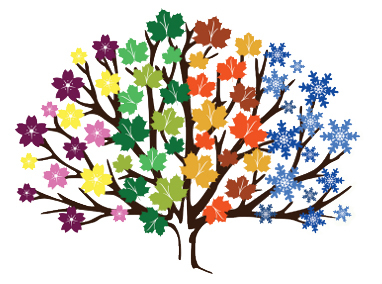 We would highly recommend Craig and the team at All Seasons. Craig was awesome to work with. From start to finish he was hands on with anything I needed and always there when I had a question. The house was listed and less than 5 days later and agreement was reached. Couldn't have asked to work with a more dedicated and professional realtor. Highly recommend Craig if you are selling, buying or both! We had a very good experience working with Craig. His solid understanding of the process and his overall experience was extremely helpful and beneficial! We would work with Craig again!